Eight years ago today, I married the absolute love of my life. My best friend. The only person in the world who thinks my scatter-brained, disorganized self is adorable and not completely annoying. Perhaps at times he finds it annoying, but the annoyance is always coupled with a hug, a kiss and an, “I love you”. We spent yesterday afternoon watching our old wedding video, much to the amusement of the kids. The Buddy couldn’t tell me enough just how much ‘Daddy looks exactly the same’ and ‘Mommy, you look totally different!’. Which is exactly what you don’t want to hear when looking at the glowing, 22-year-old version of yourself walking down the aisle on her wedding day. Although, a quick glance down at my paint-stained hot pink sweatpants, I couldn’t quite argue with him. The sparkly white dress on the screen was quite dazzling. Like we do most years, when the video is over, we ask each other, “can you believe it’s been 8 years?” Well, we asked that this year. Last year it was 7 years, the year before…you get the idea. Anyway, in some ways, yes, I can believe it’s been that long and in some ways, no. It’s hard to remember back to the days before we knew what we know now. Before all the wisdom of life that 8 years together, two kids, a brush with cancer and boatloads of happy memories as a family will give you. At the risk of sounding like the oldest cliche in the book, I wouldn’t change any of it. With every event, both good and bad, we had each other to lean on. I can’t imagine my life without my husband and I don’t even want to try to remember a time before him. I look at those kids on the screen and smile and just think that they have so much to look forward to. Take for instance, our usual evening at home. We don’t get out just the two of us very often. And by not very often, I’m talking like once every 6 months. But, we do carve out a time almost every night that it’s just the two of us. After the kiddos are in bed, we usually relax together on the couch, share some kind of snack and catch up on our favorite show of the moment – this ranges from Mad Men, Walking Dead, Dexter, Homeland, Parks and Rec, Modern Family, and yes, even Downton Abbey. Ever since the new season of Mad Men started, we have been enjoying the occasional cocktail with our evening snacks. 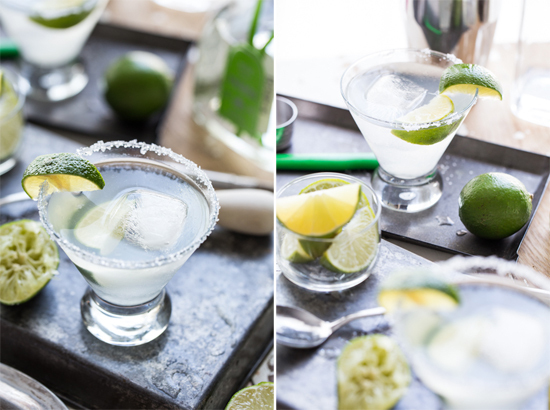 My husband can mix up a mean cocktail, and he is always willing to experiment with mixing up this and that. And this is what brings us to this lovely pair of ‘His and Hers’ cocktails. Some couples do monogrammed hand towels, we do tequila and coconut rum. Speaking of tequila, I’m not a big fan. 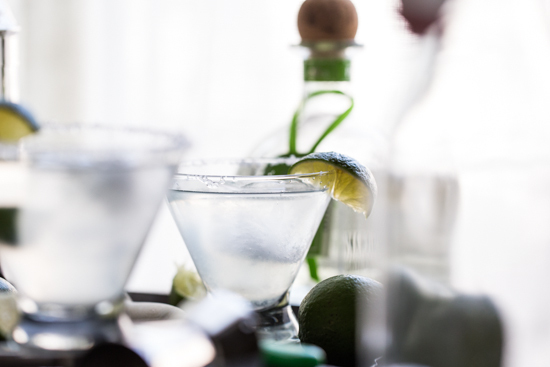 I know those are fighting words for some, but honestly, tequila just doesn’t get it done for me. Give me vodka, rum or even gin any day over tequila and I’m a happy girl. That sentence just made it sound like I have a possible drinking problem, but truly, I don’t. I promise. All of the denial is just making it worse. Anyway, a week or so ago, my husband (who loves tequila) was craving a good old fashioned margarita on the rocks. Nothing fancy, just good flavor not messed up with any fru fru stuff. I, on the other hand, not being a fan of tequila but being a large fan of fru fru, was not feeling his craving. So, he worked a little magic in the cocktail shaker and for the switch of just one simple ingredient, we both had matching (but not quite) cocktails made just for our own tastes. Tequila for him and Coconut Rum for me. I told you I liked fru fru, don’t look so shocked. 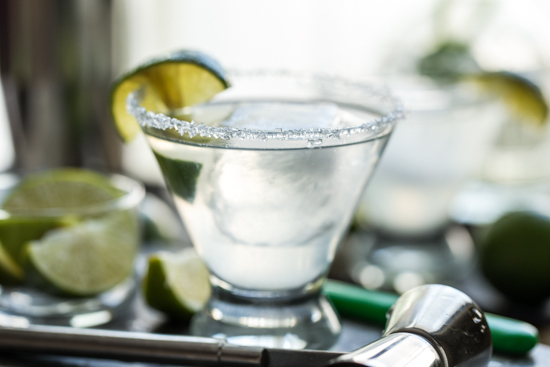 So here are his recipes for a good old fashioned margarita and my cocktail which I’m not quite sure what to call – a Coconut Rum-arita? I’m not sure, but it sounds kind of cute. 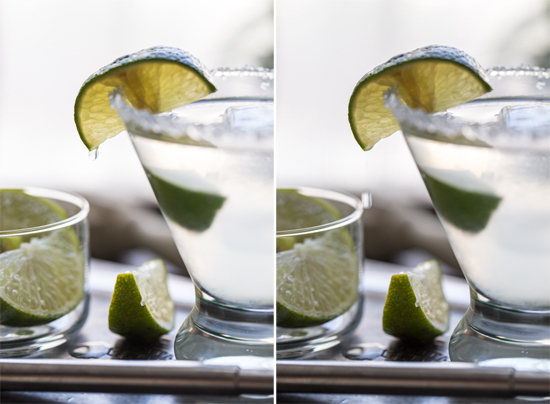 For all of you tequila fans – try the ‘his’ version, and for all of you not-so-tequila fans, try the ‘hers’. You’ll love them. 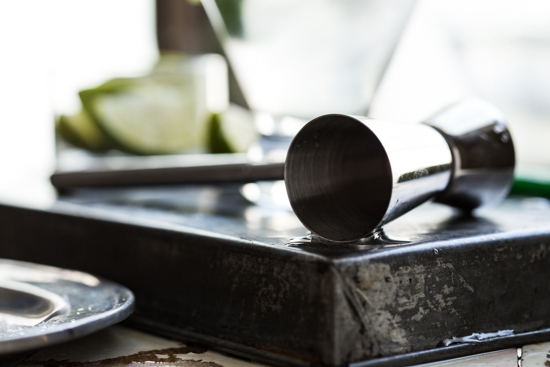 Fill a cocktail shaker with ice. 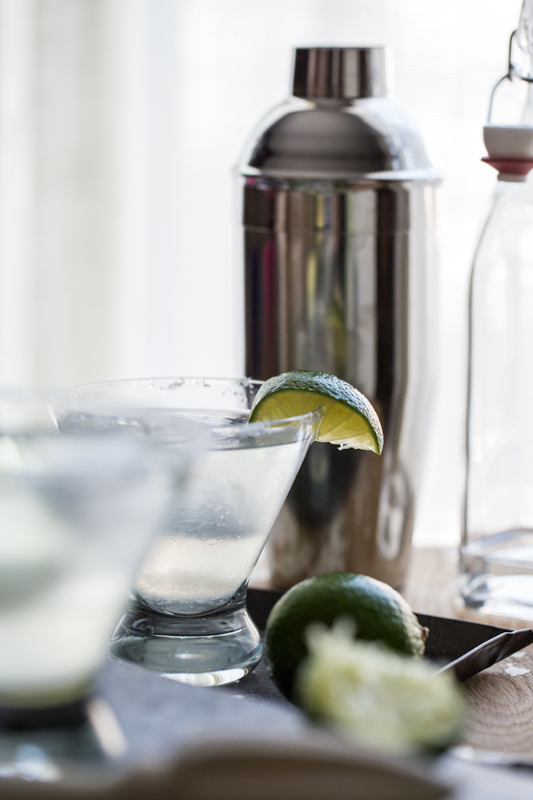 Add tequila, triple sec, lime juice and simple syrup to the shaker and shake until chilled. 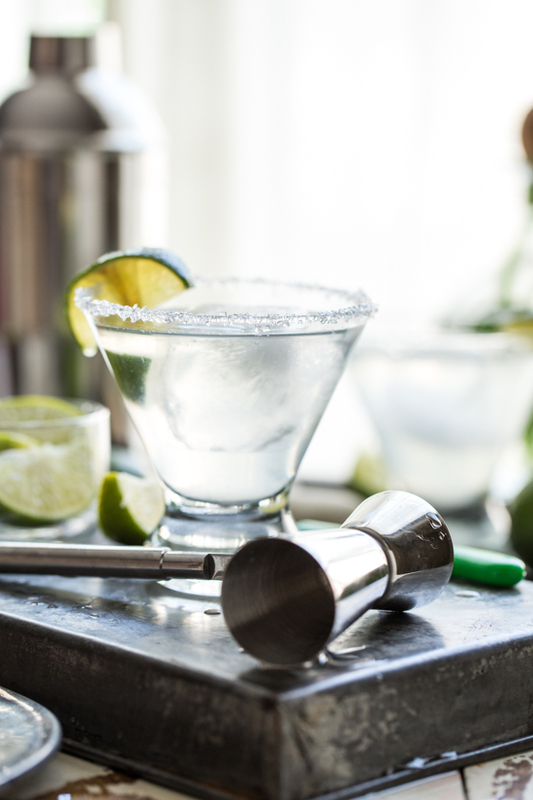 Pour into an ice filled glass rimmed with salt and garnish with a wedge of lime. 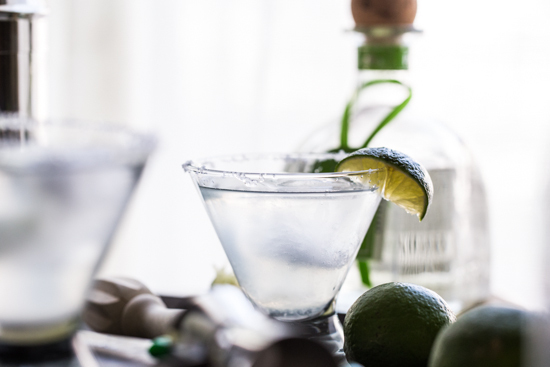 Fill a cocktail shaker with ice. 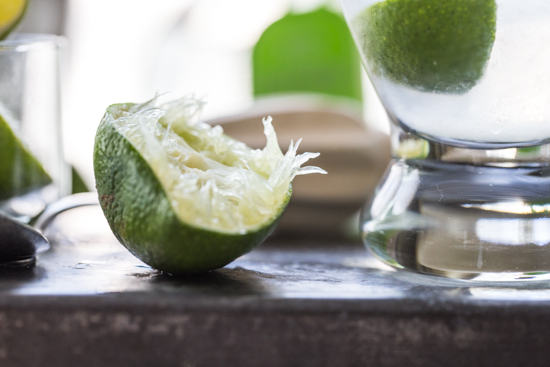 Add coconut rum, triple sec, lime juice and simple syrup to the shaker and shake until chilled. 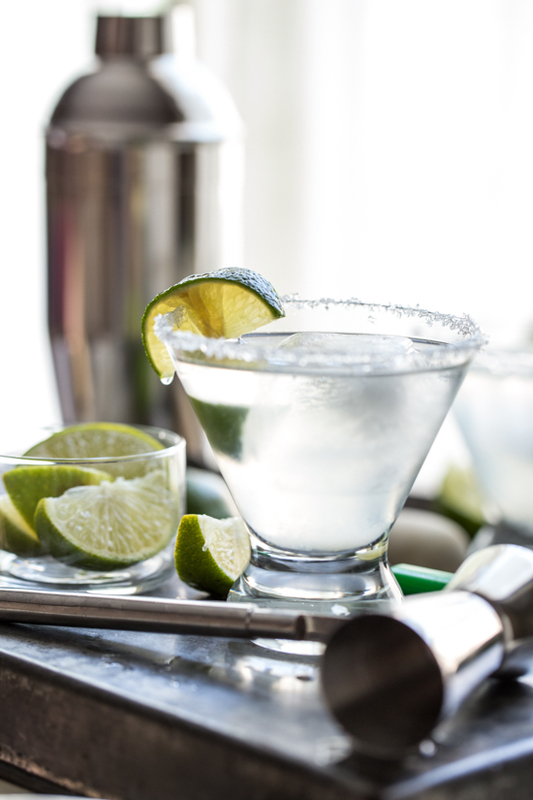 Pour into an ice filled glass rimmed with sugar and garnish with a wedge of lime. How to make simple syrup: Place 1 cup of water and 1 cup of sugar in a small saucepan. Heat over medium low until all sugar is dissolved. 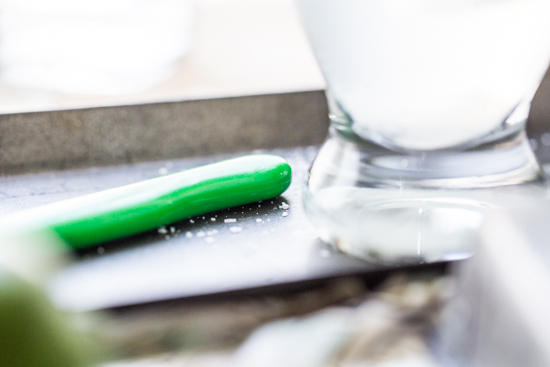 Simple syrup can be stored in an airtight container in the refrigerator. You can make smaller amounts of syrup, just be sure to keep the ratio about 1 to 1. Wonderful! Enjoy all your future years together! What a sweet post, and your photos are stunning. Happy Happy anniversary to you both!! Such a lovely, funny, heartfelt post Emily. And your photos. They way you capture the light and the crisp, clean clarity of all your images are just stunning.. Some of those quiet moments after the kids are in bed are the best aren’t they? Happiest of Anniversaries and many blessings to you guys in the years ahead! Thank you so much, Maria! I’m glad you like the photos – I feel the same about yours! They’re always so lovely 🙂 Thank you for the best wishes, as well! Oh wow, Emily. <3 The story you told is your "happy birthday" post is amazing — equal parts heart-wrenching and -warming. A VERY very happy anniversary to you guys, and cheers to many more to come! Thank you so much, Carey! The Happy Birthday post was a hard one to write at the time, but it felt good to get it down on paper (er..screen rather). Thank you for your best wishes! I have to say, I actually liked his version of the cocktail – although not as much as mine 🙂 Thanks so much for stopping by! Happy Anniversary!! Lovely drinks for the celebration too. I think I would enjoy both of them! These photos are gorgeous. Happy Anniversary!! Aww, love this! Happy anniversary!